Texas Top Aviation provides initial Columbia aircraft training for the Columbia 400, the Columbia 350, and the Columbia 300. 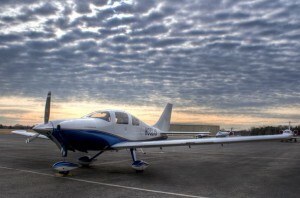 Texas Top Aviation utilizes the Cessna FITS Transition Training Course to conduct training. The initial Columbia aircraft training course is a 3 day course. The course involves 1.5 days of ground and 1.5 days of flying. By the end of your Columbia aircraft training, you will be intimately familiar with how your Columbia aircraft operates. The Columbia aircraft training course is a proficiency based course that is based on real world scenarios. Instead of flying around the area around your local airport, the course revolves around short cross country flights that simulate how you will be flying your airplane. During these cross country legs, your instructor from Texas Top Aviation will teach you how to use your avionics suite (whether Avidyne or Garmin, STEC autopilot or GFC 700), familiarize you with the handling of your airplane, and help you build confidence in the operation of your airplane. If you require a Flight Review or an Instrument Proficiency check as part of your Columbia aircraft training course, please let your instructor know. Texas Top Aviation can accommodate your specific training needs. 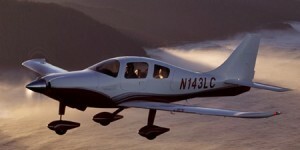 Texas Top Aviation follows the FAA’s recommendation of doing some sort of proficiency training every four to six weeks. That way, pilots stay proficient on the necessary maneuvers for Flight Reviews and IPCs. This proficiency training involves 2-4 hour training sessions over the various visual and instrument maneuvers required on BFRs and IPCs. See Appendixes 4 & 7 of AC 61-98B for more information on the FAA’s Proficiency Practice Plans. Need a Flight Review or IPC in your Columbia aircraft? Texas Top Aviation can help. We go above and beyond the requirements to stay current; we ensure you are proficient and, most importantly, safe to fly. BFRs and IPCs usually take 4 hours to complete. 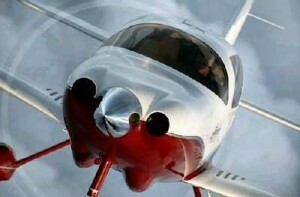 Contact Texas Top Aviation for more information about recurrent Columbia aircraft training. Moving up from an Avidyne Columbia to a G1000 Columbia? Texas Top Aviation provides expert Columbia aircraft avionics training. It takes a day and a half to become familiar with the Garmin G1000 Avionics suite, but the transition is proficiency based. In order to reduce the stress of flying and button pushing at the same time, Texas Top Aviation utilizes PC trainers on the ground as part of the transition. Call Texas Top Aviation today to schedule your Columbia aircraft training!